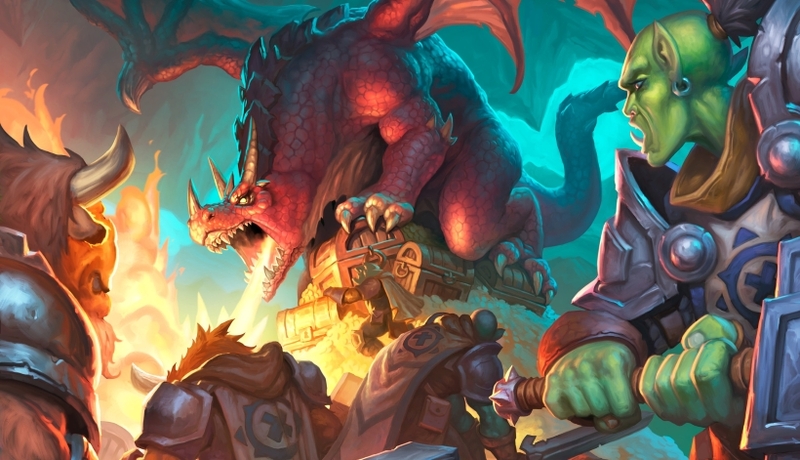 Our Midrange Paladin deck list guide features the best Rise of Shadows deck list for Season 61 of Hearthstone (April 2019). Our Midrange Paladin guide will also be updated with Mulligan advice, card combos and strategy tips. Midrange Paladin is a Hearthstone deck that's always been around in one form or another, but became significantly more powerful since it received an injection of Murloc power in the Un'Goro expansion. Right now it's highly flexible in terms of how it can deal with specific opponent types such as aggro or control, and as such it's a deck that's easy to get started with, but very satisfying to truly master. In our guide to this returning archetype, we've got one of the strongest deck lists you can make use of right now, along with an outline of how the deck actually plays out. After that we'll explain how to pick a solid starting hand, before we finish it all up with a breakdown of all the combos you have to play around with. Mix all this together and you should be left feeling pretty confident about taking this deck out for a spin in the live game. We'll be updating this guide a great deal over time, so do let us know in the comments if you're struggling with anything and we'll cover it off as as priority. In the meantime, don't forget to let us know about any alternative deck lists you're finding more success with. It's going to take a while to completely overhaul Metabomb for the new Witchwood meta, but we want to make sure fans of Midrange Paladin had something to play with at launch. This particular deck list was created by DisguisedToast. All decks are going to change a lot in the first few days and weeks of the new meta, so please be conservative when it comes to spending your crafting dust! It's going to take some time to get Metabomb completely switched over to the Year of the Raven, so remember that everything after this point was written about a pre-expansion version of Midrange Paladin. We hope to have all of our content completely overhauled within the next week or so, once more refined versions of each archetype have become established. Thanks for your patience as we work through a big old pile of decks! Here's Noblord Frozen Throne take on Midrange Paladin, which seems to be the most powerful version of the deck in use right now. This is a very flexible deck and so you have to adapt your playstyle somewhat to deal with different types of opponent. When you're playing off against aggressive opponents, you really need to stop their board from spiralling out of control. Although you want to extract as much value as you can from your Murloc synergies, it's sometimes necessary to simply play out onto the board whatever you're able to with your current Mana. When boosting your Murlocs with Gentle Megasaur, look for a stat that either provides extra survivability or provides a wall of taunts. From here, you should be able to use all your taunts and your heavy late-game minions to lock your opponent out of the game. Against slower decks you need to take a more aggressive stance, and look to field a host of Murlocs out into play. Through buffing and adapting these minions with Gentle Megasaur, you want to apply as much pressure onto your opponent as you can, and simply try to finish the match before they can take charge. Prioritise board control above all else and don't let your opponent assume any kind of dominant position on the board. The longer the game goes on, the more powerful you become, but an aggro deck will likely bring you to your knees before you can drop Equality/Consecration. Have one eye on Turn 6 and ensure you have one minion on the board that you can apply Spikeridged Steed to. When that happens, any aggro deck is going to struggle to batter through your defenses before you can bulk out the board with an intimidating presence. When it comes to the best Hydrologist Secrets, Noble Sacrifice has obvious anti-synergy with the opponent, while you can double up on the frustration levels by having one of your Taunts trigger Getaway Kodo. Keep the pressure up at all times, and try to give the opponent just enough to bait out their AOE without committing everything you have to the board. As long as you maintain more minions than your opponent, you can usually reset the state of the game and assume dominance with a Sunkeeper Tarim play. Always try to maintain some kind of numbers advantage to ensure this works out in your favour. It's important to curve out cleanly with this deck, and make plays that exhaust your Mana availability on each of the first few turns. The following cards will prove useful in all match-ups: Murloc Tidecaller, Vilefin Inquisitor, Hydrologist, Rockpool Hunter, Murloc Warleader. If you're confident you're up against a slower deck, consider keeping Stonehill Defender too. If things change enough that a hero-by-hero Mulligan breakdown proves necessary, we'll update this section of our guide! - Every Murloc you summon onto the board after Murloc Tidecaller has been put into play will cause the Tidecaller's Attack value to increase by one. Note that Murlocs spawned from your hero power after playing Vilefin Inquisitor also count towards this process. - Any Divine Shield minions out on the board will gain +1 / +1 of stats when you pop Rallying Blade into your hand. - When Sunkeeper Tarim is played onto the board, every other minion - friendly and otherwise - will have their stats set to 3 / 3. If you've a wider board of minions at the time, this obviously puts you in a great position to take control. - You can target any Murloc on the board with Rockpool Hunter to grant it an extra +1 / +1 of stats. - When Finja, the Flying Star kills a minion, two random Murlocs left in your deck pile will be pulled onto the board. It's best to make this play first, as you might get some extra stats from the Murlocs you pull. - If you've any Beasts or Murlocs left in your deck pile, The Curator will add one of each type to your hand when he's played. The choice is random if there's more than one option in each case. - Keep in mind that the extra Attack power granted by Murloc Warleader is not permanent. Once the creature leaves the board, so do the bonus stats provided by it. - Bonemare is fantastic for boosting up a friendly minion and giving it Taunt, which in turn protects your new 5 / 5 minion nicely as well! @GJHGHGH I have got uther death knight should I use that? @ijohns98 I don't understand your question, sorry. I know that it's a pretty standard deck, but can you post a decklist for Midrange Paladin? + justicar, +Loatheb, +1 truesilver, + Brann. I'd recommend replacing 1 Zombie Chow with a Loatheb to counter the tons of Combo Druids that are on ladder currently, since this deck always has a hard time against them. woah I'm finding this incredibly hard to work. @remingtonmorris53 It might be a bad hand or two or seven but I took a variation of this deck to rank 5 in October. So far this month I'm 10-3 with it. I don't run harrison jones or justicar trueheart. Instead I run a lowly squire and another healbot. It gives you another 1 drop that works well with your hero power/quartermaster and the healbot can help you recover if you fall behind early. Also look to determine what deck you are playing against when deciding what to mulligan and how you approach the game. I will keep a 4 drop if I know I'm not going against an aggro deck especially if I have the coin. @King_of_Hyrule I couldn't agree more. The Drake should be a strong replacement if you're low on dust. The Drake is not that situational either, works great all the time... No one can hate the Drake. Great match-up tips, thanks! Well done on reaching Legend too. This has become pretty much the standard paladin deck. I've played a ton of paladin last month (reaching top 100 legend and finishing the season around top 400 legend on EU servers) so I thought I could offer a few more tips. Of course everybody has their own playing style and mine is by no means perfect. And of course as usual you want to make sure to swap in/out cards like Harisson Jones, Kezan Mystic, black knight etc depending on the metagame. When the meta is very agressive you might want to consider changing lay on hands for a second chow. Anyway on to the tips! - Always hold onto muster for (battle except perhaps when you have coghammer) even without a quartermaster Muster is an amazing turn 3 play. - The knife juggler is an essential part of the deck, as mentioned in the guide it has great synergy with equality, muster, deathrattle minnions, dr boom, and of course the paladin hero power. On turn 2 play the minibot instead of juggler because the juggler is easier to remove. If on turn 2 you expect that your juggler will almost certainly be removed play a silver hand recruit instead and use your juggler on for example turn for with hero power to smooth out your curve if you have no 4 drops. Handlock: you want to build up your side of the board and avoid using equality+consacration because it will be amazing in the late game. Build up the board whilst protecting yourself from board clears using aldor peacekeeper and BGH and get the most out of the equality+consacrate combo in late game. Freeze Mage: A difficult match up since your deck is very minion heavy. Hang on to your truesilvers and use your jugglers only when you know you will get a good amount of juggles out of them. Use silence on your strongest minion to overturn the freeze effect for the killing blow. Control Warrior: Careful with Muster! Try not to lose your three recruits to whirlwind or death's bite. Use Argus or Quartermaster to get them out of whirlwind range. Control warrior is terrible at dealing with a large group of minions especially when Baron Geddon or Brawl have already be played.